Unfortunately, for around half of depressed patients, the first antidepressants prescribed do not work. On top of that, around one-third of patients do not respond to any types of drugs (although psychological therapies may be useful). At the moment, the only way to know is to try them and see what happens. This means that many depressed people have to wait around three months to see if the drugs will work. 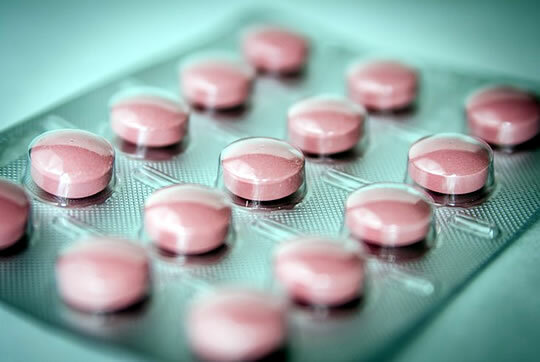 New generation ‘SSRI’ antidepressants like Prozac or Seroxat mostly fall, “below the recommended criteria for clinical significance”, according to some scientists. In other words, the most modern drugs prescribed for depression generally don’t work. Mild depression: not tested as mild depression is usually treated with a ‘talk therapy’ rather than antidepressants. Moderate depression: antidepressants made “virtually no difference”. Severe depression: antidepressants had a “small and clinicallyinsignificant” effect. Most severe depression: antidepressants had a significant clinical benefit – but see the full article. The study, published in the journal Psychiatry Research, found that as many as half the people they surveyed had psychological problems due to their medication. and 55% reported ‘withdrawal effects’. Set against these findings, though, 82% said that the drugs had been useful in tackling their depression. Bupropion, which is marketed as Wellbutrin, is the only antidepressant linked to weight loss, new research finds. In contrast, those taking fluoxetine (known mainly as Prozac) gained an average of 4.6 pounds in the same time. So, those taking Wellbutrin weighed an average of 7 pounds less than those who took Prozac over the two years. The older type of antidepressants — known as tricyclics — have been linked to memory loss. Around half of people taking them report problems concentrating and one-third say they have memory loss. Four natural supplements have been found by new research to increase the effectiveness of antidepressants. The conclusions come from a new review of 40 clinical trials carried out worldwide. Each tested the use of common antidepressants in tandem with dietary supplements. Mothers who use antidepressants during pregnancy could double their children’s risk of develop autism. The conclusions come from a new study covering 145,456 pregnancies. Since around 7% of pregnant women take antidepressants, the study could have very important implications. A common antidepressant thought safe for adolescents is actually ineffective, new research finds. Worse, it has been linked to serious side-effects. The drug is called paroxetine, which is marketed as Paxil, Seroxat and Aropax. Social anxiety disorder is most commonly treated with antidepressants, but these are not the most effective treatment. A new study finds that cognitive behavioural therapy (CBT) is more effective and the benefits continue after the initial treatment has finished. The researchers found that it was the psychological therapies that were the most effective. As a result these should be the first choice treatment. Antidepressants were also effective, but were associated with side-effects, and they don’t work for some people.